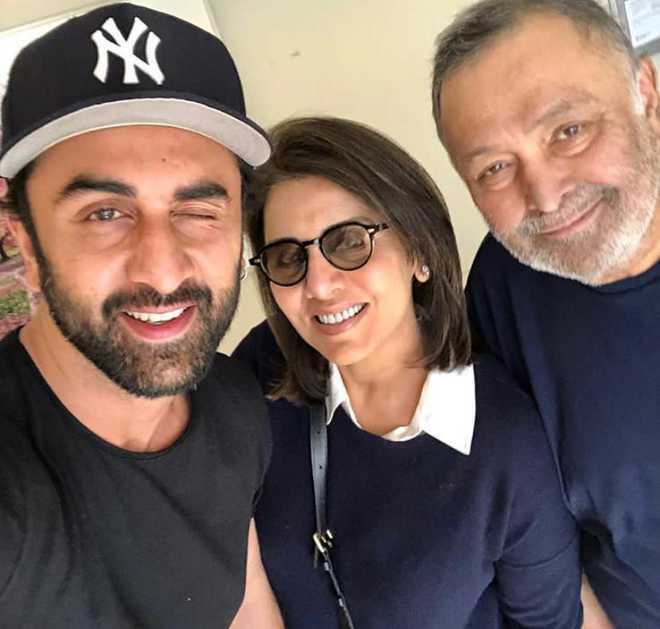 Neetu, who often gives updates about Rishi’s health on social media, took to Instagram on Thursday to share the moment. Riddhima Kapoor Sahni, Rishi and Neetu’s daughter, who is missing from the family portrait, commented with heart emojis on the post. “Badhaai Ho” actors Neena Gupta and Gajraj Rao sent “good luck” to the family. “Hello all! I am taking a short leave of absence from work to go to America for some medical treatment. I urge my well-wishers not to worry or unnecessarily speculate. It’s been 45 years ‘plus’ of wear and tear at the movies. With your love and good wishes, I will be back soon,” Rishi tweeted then.